SAN FRANCISCO (KGO) -- If you're looking for a fun way to burn off those extra calories this Thanksgiving, consider this ride through San Francisco. 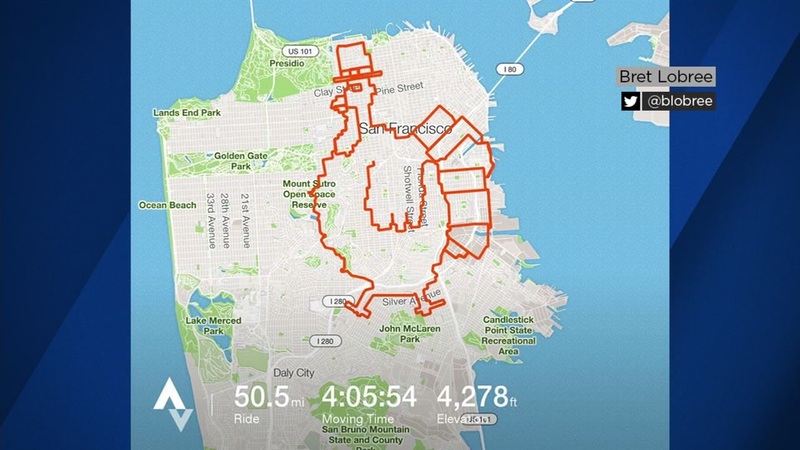 Local cyclist Bret Lobree mapped out a route through the city in the shape of a turkey. SF Curbed says the "turkey ride" is also one of the most grueling workouts any San Franciscan could commit to. It covers over 50 miles, including punishing Pacific Heights hills. The breast alone takes you through the Mount Sutro Reserve. According to the cycling app Strava, the ride should take about four hours to complete. Click here for more stories about Thanksgiving.